A professional looking ticket will help to install confidence in your event and ultimately get your attendees ‘through the door’. 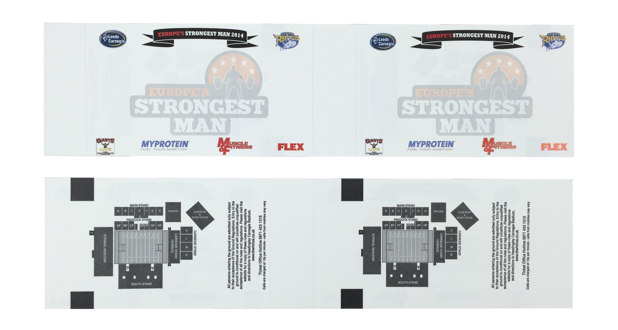 With thought about the design and print it is an extremely effective aid to strengthen brand awareness in addition to helping with the security and economic success of the event. These products are ideal for a huge variety of venues including sports stadiums and events, leisure parks, fundraising activities, museums and concerts. Minimum quantities start at 1000. Print can be front and back in up to seven colours; spot or full colour. Decorative foils are available for text or design (including standard and holographic). If you can give as much information at the enquiry stage we can best advise on the optimum material for your requirements. Thermal tickets available for direct thermal printers; most are compatible but it is advisable to double check. 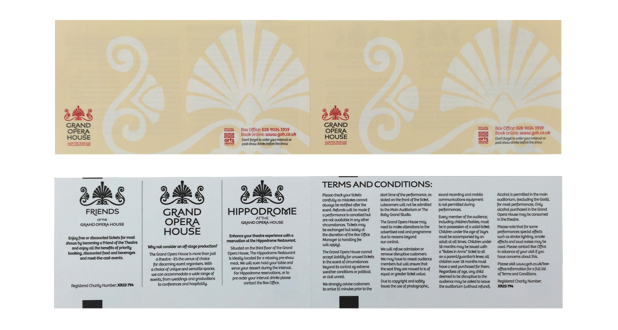 As well as the decorative features such as the foils and UV finishes, we can offer various security features such as UV readable ink, numbering and foiling. 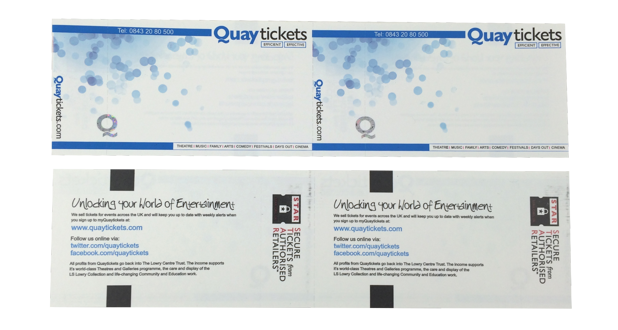 More functional features include perforations, punch holes and the choice to have the tickets supplied on reels or fanfolded packs.